In the case of 126.930 and 126.925, these will probably be same Prestwick controller going through 2 different transmitter sites simultaneously most of the time. NATS documents say the freq is still 124.825, if two transmitters are used they will each be offset by 5 kHz to reduce interference. If 3 transmitters are used, offsets will be -7.5k, 0k, +7.5k. Aircraft will on the exact freq. That freq is definitely, transmitted from Lowther Hill / Green Lowther, but not sure about any offset. Well I wanted to say hello, im Alex the Midlands, UK and I had my first introduction to radios when I was 13 and I was instantly interested in this hand-held scanner I had been shown, the guy showing it this tuned in into the local Police and I was amazed... CB's arrived soon after and I really enjoyed my time on them too and I loved my CB as well. I really like this site for all the excellent contact that is on here, I am aware things are not like they used to be but nonetheless - this place is great !! Welcome to the forum SV04. I use to head into the West Midlands every so often back in the 80's. There were lots of free radio stations broadcasting there at that point & I use to head over & visit some of them. Paul at UK radio & the guys at Sounds Alternative most commonly as they were friends of a friend. Hello everyone, thanks for adding me to the forum. Looking to get back into scanning after about an 18 year gap. I think my first ever purchase of an iMac G3 in 2000 and the discovery of dial-up internet moved me away from scanning. 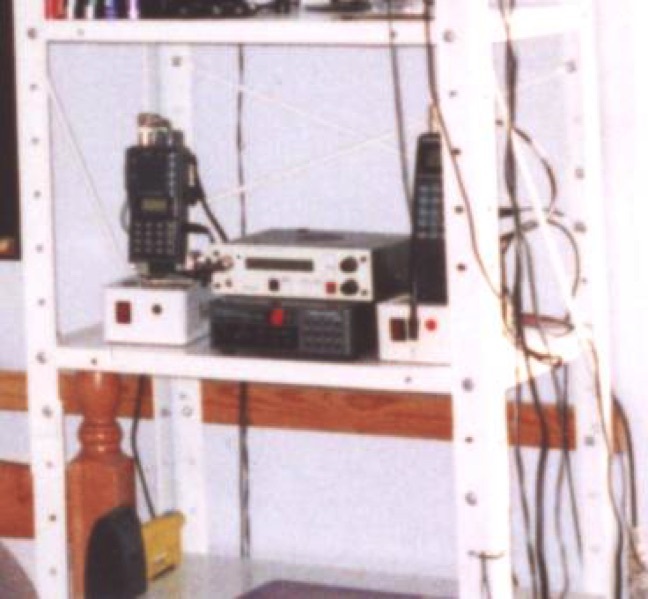 I found a photo of my set-up from 1999. Bit blurry as it’s a scan blown up. If i remember correctly the bottom base station was a Uniden Bearcat BC-560XLT, a 16 channel programmable scanner. The handheld on the left looks like an Alinco DJ-X1. The handheld on the right might be a Yupiteru model. Can’t remember what the top base station was. I remember getting it cheap from a second hand shop. Then, i lived in a 4th floor flat and had an open view of south-west Leicestershire. Now, i live in Glenfield which is quite low down. Hopefully the ‘close call capture’ feature will pick up a few local signals.